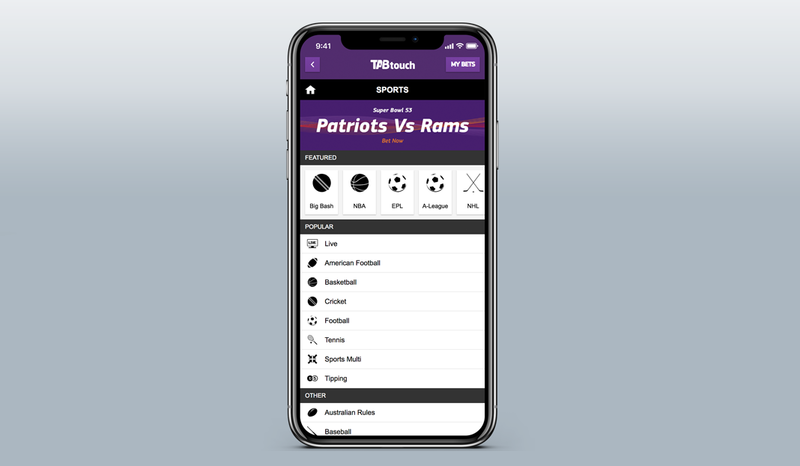 Placing a sports bet just got easier thanks to an improved navigation on the TABtouch app and mobile. Nothing changes from the TABtouch homepage. To place a sports bet, hit the ‘Sports’ button in the middle of the screen. This will take you to our sports page which provides a list of all current sporting events available to bet on – everything from Australian Rules to E-Sports! All sports that don’t appear in the carousel can still be found in the list of sports directly underneath.